The Tom Bridge’s Demonstration Gardens have been in existence since they were erected in 2013, at the Henderson County Department of Public Health in Hendersonville, NC. The five raised garden beds provide hands-on gardening education and opportunities for the community to learn about growing, harvesting, and preparing produce and using herbs. The goal of the garden is to facilitate home gardening education as a sustainable method for feeding the family. It serves as a backdrop for nutrition education classes. Crops gleaned are used to prepare tasty food samples. Recipes and produce are available for clients to take home to reproduce the recipe for the family. 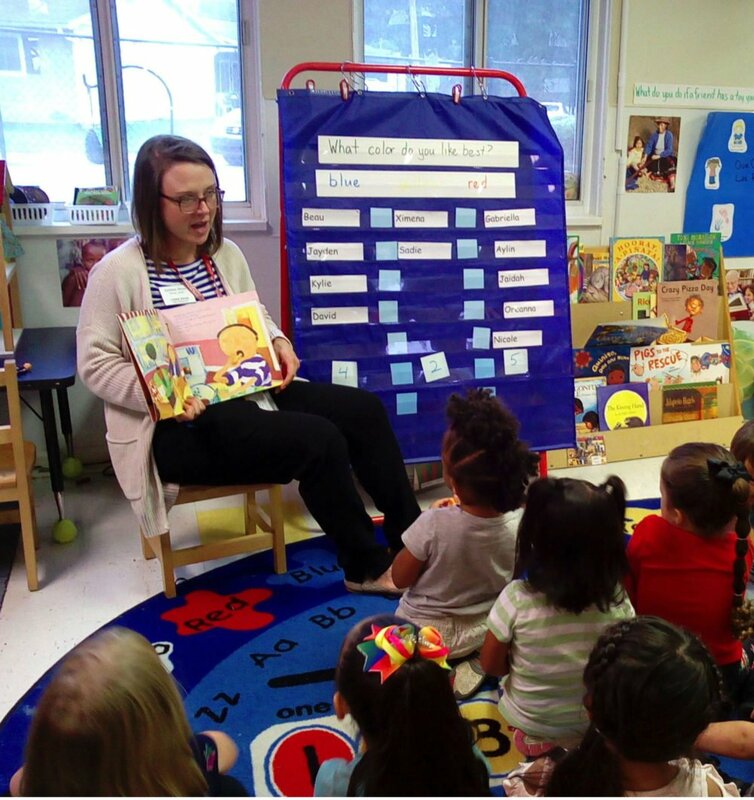 To continue to support Henderson County SNAP and WIC participants, the WIC Program has partnered with more than 15 local early childhood education centers to bring Farm to Early Care Education (ECE) to more than 300 children and families in Henderson County. Nutrition Interns under the direction and guidance of WIC Nutritionists use the Growing Minds Sweet Potato Exploration curriculum to educate children about where food comes from, how it is grown, prepared, and provides nutrients for the body. This includes having the children feel a “mystery vegetable” inside a paper bag, having them make guesses as to what it is, revealing the sweet potato and speaking briefly on how it is good for eyesight, and having everyone try a piece of local sweet potato. The story “Oliver’s Vegetables” is read to the class and an evaluation game is played to gauge learning. Finally, the children craft vegetable crowns and receive ASAP stickers. The WIC/Nutrition Program has collaborated with multiple agencies to make this happen. These include Blue Ridge Community College Horticultural Program, Henderson County Cooperative Extension, Henderson County Department of Public Health, Hendersonville Community Foundation, Hendersonville Community Co-Op, Sow True Seed and ASAP (Appalachian Sustainable Agriculture Program).